Mika Brzezinski on her re-release of "Know Your Value"
From negotiating a raise to owning your unique voice, the lessons in the updated book offer a fresh take on overcoming the challenges that all women face in the workplace and beyond. Mika Brzezinski’s book “Knowing Your Value” sparked an incredible movement when it was published in 2011. In addition to hitting the New York Times best-seller list, her words brought hope — and direction — to thousands of women who had been struggling with issues like pay discrimination, sexual harassment and the inability to effectively communicate their value to others. Women openly shared their own stories about the book’s impact on their professional and personal lives — many divulged to Brzezinski with great pride, “I read your book, I got a raise.” Eventually, the Know Your Value movement was born, with women openly discussing their experiences, bringing each other to the table and working together to chip away at the obstacles that have plagued women throughout history. Place your order for Mika Brzezinski's "Know Your Value" here. Fast-forward seven years, after a string of historical markers like the Harvey Weinstein scandal, the birth of the #MeToo movement and surprising challenges brought on by President Donald Trump. The “Morning Joe” co-host and Know Your Value founder decided that she needed to move her book forward with the ever-changing times. As a result, the re-release of Brzezinski’s book, now as “Know Your Value,” will debut on Tuesday, Sept. 25. “When I first came out with ‘Knowing Your Value,’ I knew I was going to be sharing a lot of inside stories, deep dark secrets, about why it took so long for me to truly understand my value, communicate it effectively and get the value back that I deserved,” Brzezinski told Know Your Value. Little did she know at the time that her words would accomplish that and so much more. The re-released version of the book includes severed ties with former publisher Harvey Weinstein and a new deal with Hachette Book Group, which moved to form its own entity after the Weinstein imprint was dissolved. It also omits contributions from Donald Trump, but includes Brzezinski’s backstory about her own experiences with him and his sexist attacks against her and others on Twitter. The pages are filled with updated statistics and a cast of fresh voices, like former Director of the White House Domestic Policy Council and assistant to President Obama Melody Barnes, BBC World News presenter Katty Kay, senior correspondent and editor on gender issues for the New York Times Susan Chira and body-language expert Janine Driver. Furthermore, there’s a deeper message about addressing office politics and shifting the climate on how we talk about women. 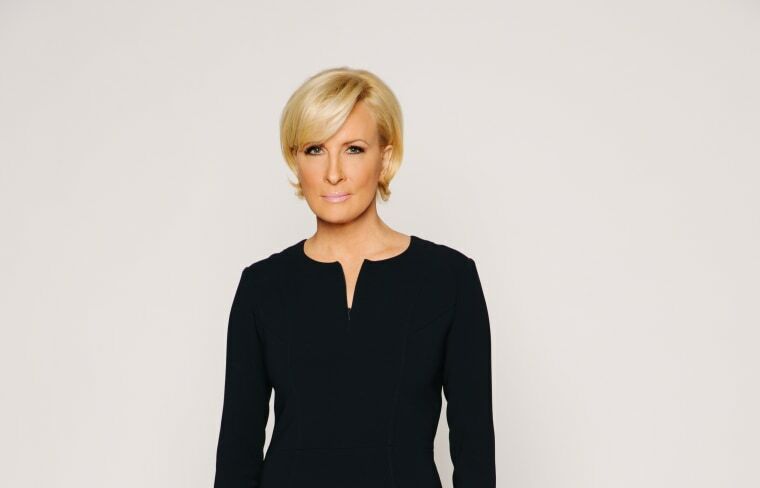 Brzezinski’s own Know Your Value story began with the start of the MSNBC news program “Morning Joe.” She had recently experienced setbacks, most notably losing her contract with CBS as a correspondent, and taking jobs where she was overqualified. When “Morning Joe” debuted, it was an overnight success. Brzezinski eventually asked for a higher salary, but a series of missteps cost her valuable progress. She then realized that her negotiation conversation should focus on one question: “What would the show look like the next day without me on it?” Once Brzezinski realized her stock was up, she knew she had the power to get what she truly deserved. The re-released book includes important lessons throughout, from leveling the playing field to reaching the point where you feel your own unique voice matters. Above all else, you’ll learn how to truly own your voice — and enjoy the benefits of how effective you can be with it. “Know Your Value” goes on sale Tuesday, Sept. 25.